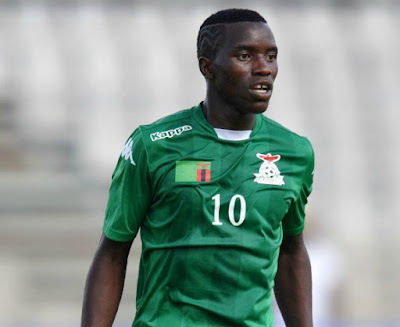 Zambia forward, Fashion Sakala, has expressed his disappointment over his country’s failure to qualify for the 2018 World Cup, after they lost 1-0 to Nigeria on Saturday. Alex Iwobi scored the only goal in the 73rd minute of play, to seal qualification for the Super Eagles. And Sakala, who plays his club football for Spartak Moscow, has accepted responsibility for the Chipolopolo’s inability to qualify for the showpiece, admitting he “let the nation down”. “I really feel bad and I know that I’ve disappointed and let the nation down again but it’s a game I hope they will understand,” Sakala told Goal. “Zambians expected us to win the match to go the World Cup for the first and the whole nation was waiting for the victory. “It’s really sad for our people and the country of Zambia but we know next time will make them proud. "We are always trying to make our country proud and will take it serious to make our people happy and they deserve happiness from this game of football. “We are out of the qualifiers and we thank God for helping us to come this far. We will try to work extra hard as a team to qualify to the Africa Cup of Nations,” he assured.